Custom frame measures 30" x 45" in size. 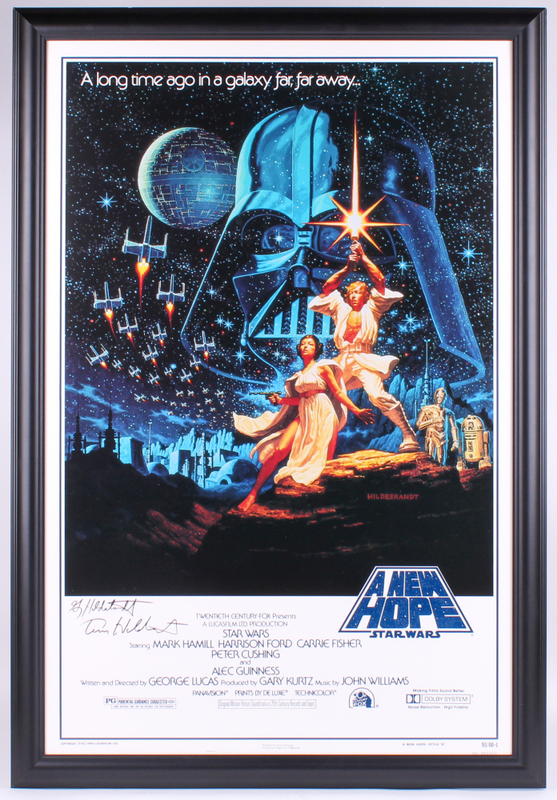 Features a promotional poster for the 15th Anniversary of "Star Wars: A New Hope" that has been hand-signed in black felt-tip pen by Greg Hildebrandt and Tim Hildebrandt (D. 2006). Greg Hildebrandt and his twin brother Tim were born on January 23, 1939, in Detroit, Michigan. They worked collaboratively as fantasy and science fiction artists; in the illustration world they became better known as "The Brothers Hildebrandt." The brothers began their professional careers in 1959, during which they produced illustrations for comic books, movie posters, children's books, posters, novels, calendars, advertisements, and trading cards. Some of their most notable works, and what won them international recognition, are the original 'Star Wars' movie posters and 1976, 1977, and 1978 J.R.R. Tolkien 'Lord of the Rings' calendars. The work of Greg and Tim Hildebrandt has received widespread fan recognition over the last 42 years in the genres of fantasy, science fiction, comic art, pinup art, western art, religious art, comic strip art, and sequential art. 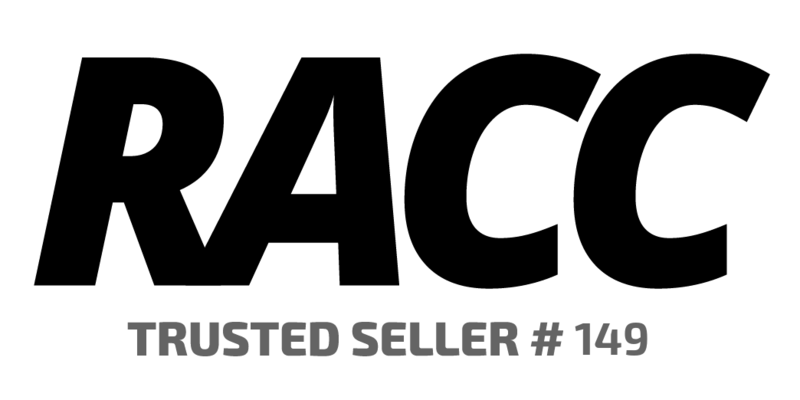 During this time they worked for many varied companies including Marvel Comics, DC Comics, Franklin Mint, Batfilms, Lucas Films, and a plethora of book publishing companies. Some of their other projects include illustrations for Collectable Card Games (CCG) for 'Magic the Gathering' and 'Harry Potter' published by Wizards of the Coast, as well as several personal projects including the 'American Beauties' series of 1940's - 50's style Pinup Art. The Brothers also created a series of tribute paintings celebrating the heroes of September 11, the proceeds of which were donated to the NY Firefighters' 9/11 Disaster Relief Fund. 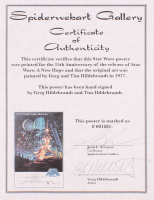 Unfortunately, the brotherly duo was split up in June of 2006 when Tim Hildebrandt passed away at the age of 67. 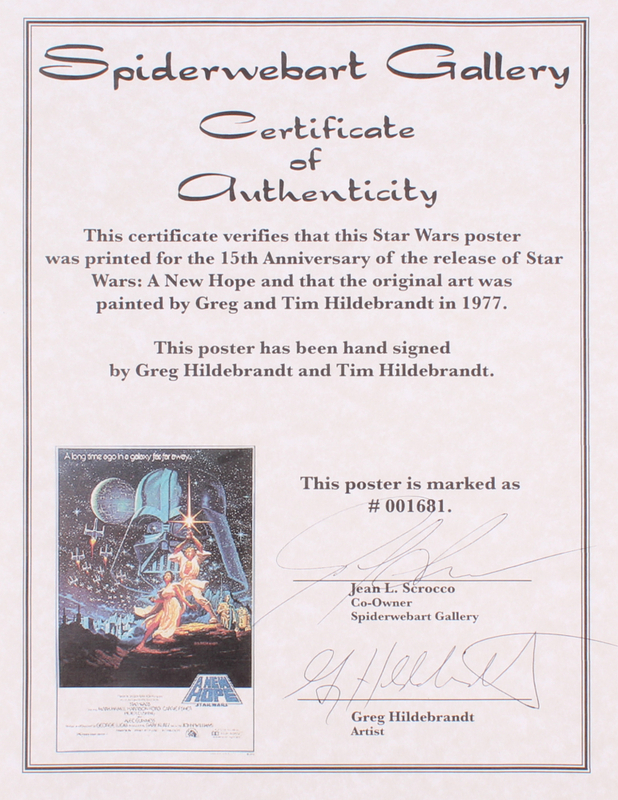 In 2010, Greg Hildebrandt received the Chelsey Award for Lifetime Artistic Achievement. Today, Greg remains active in the art world, continuing work on his 'American Beauties' Pinup series.